As many of our customers do, we LOVE chocolate at Dandelions! We think it goes great with almost any occasion and who wouldn’t want to receive a delivery of chocolate right to their door? 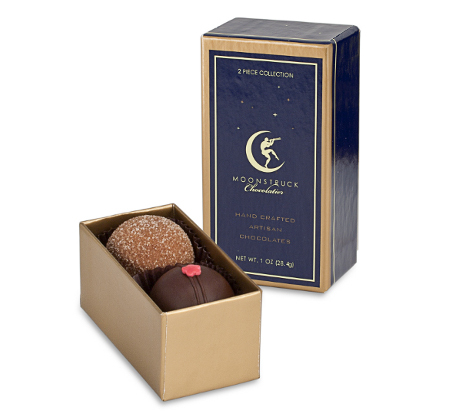 In addition to our other local chocolates, Euphoria Chocolate and Chocolate Decadence, Dandelions now carries Moonstruck Chocolates. 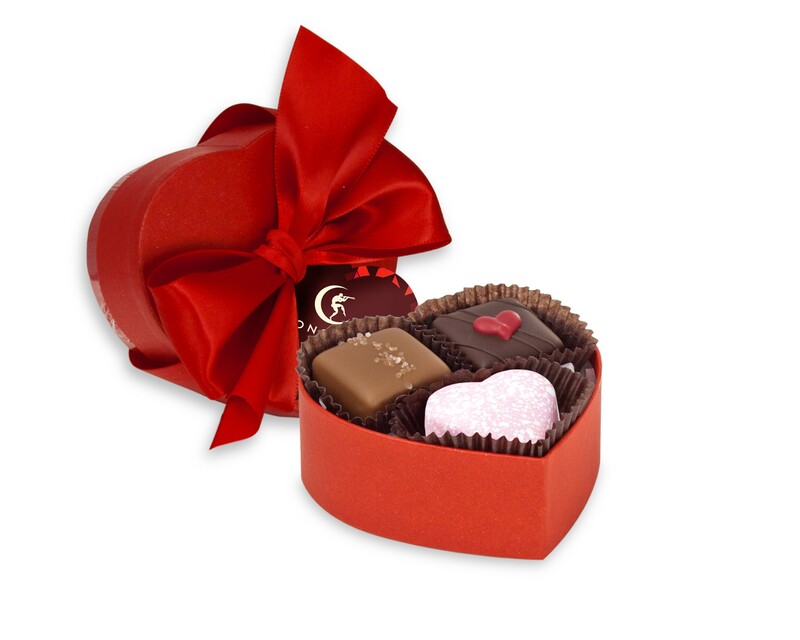 We began carrying the heart shaped gift boxes of truffles at Valentine’s and they were such a success we decided to carry them year-round. 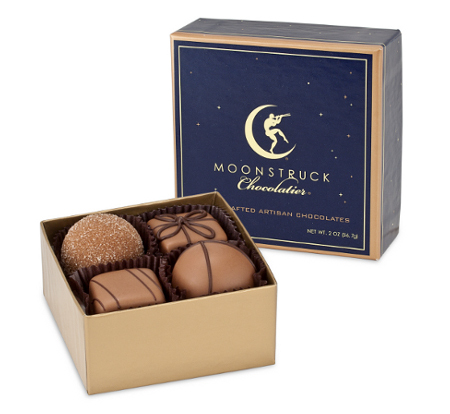 The chocolate creations of Moonstruck are hand-crafted in Portland, OR and look as amazing as they taste. Since we do lots of chocolate baskets and food baskets we are delighted to have Moonstruck to add to these gift baskets. Refrigeration isn’t required, even for the truffles, which makes them a perfect gift to deliver. Currently we carry packages of 2, 4 and 9 truffles but will be expanding to include some of their fun & adorable goodies soon!